Shoot to move. Use obstacles against enemies. This game is pretty fun, though the screen can get a bit cluttered. 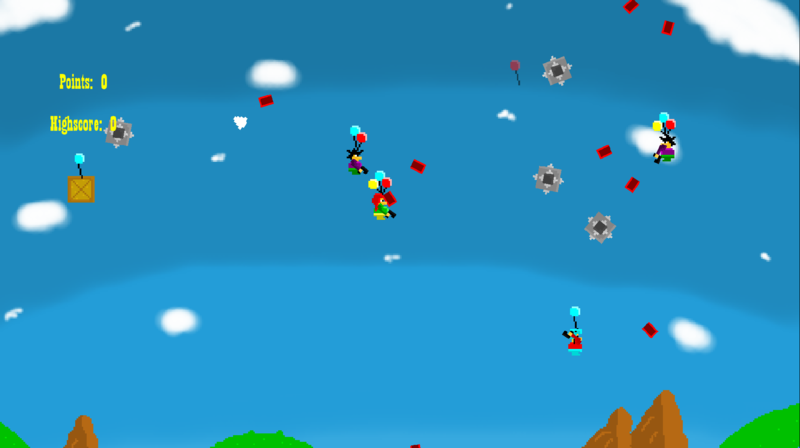 I like how you can still live after all your balloons have been popped by shooting down. Adds an extra bit of tension as I hold on and try to find a new balloon. All in all, a solid game. Good job! Needs a full screen mode (or I haven't discovered it) as I keep on clicking outside. 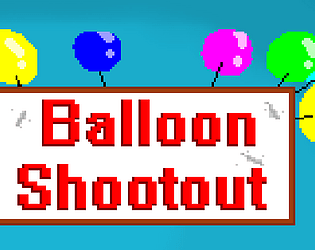 I think with no balloons you could stay alive for a relatively long time by mashing buttons though. Otherwise cool idea and nice execution! That was fun! I didn't really like the weapon that shot 2 bullets at 45 degree to where you were aiming, and the drop rate of it seemed higher than everything else. The core game-play loop was fun though, and the theme was incorporated really well! Very solid little score attack game, theme makes sense, quite fun for a short time. It didn't seem like the game got any more difficult as it went on which would have made it more interesting. 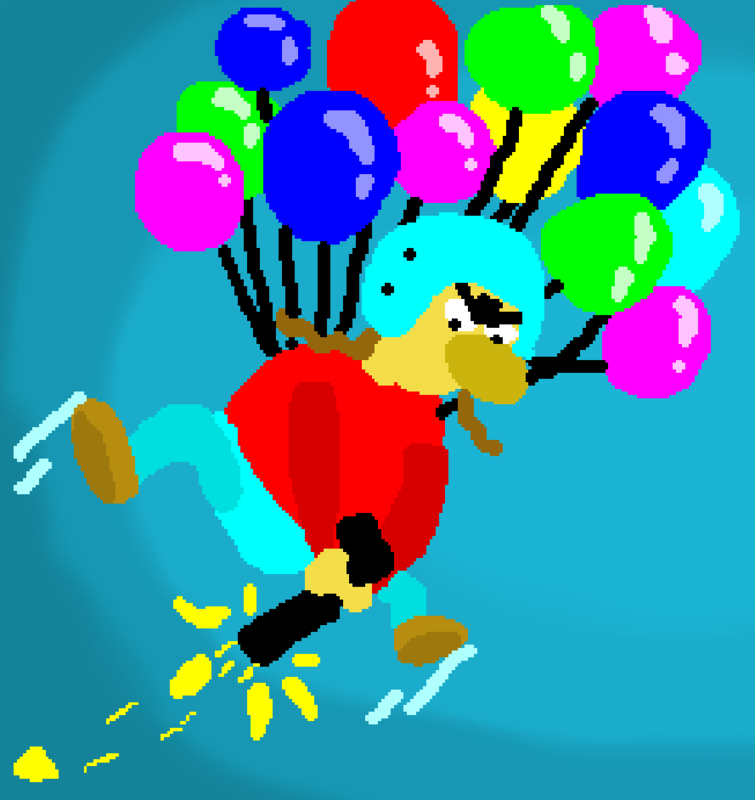 I did like how you go into a last ditch mode when you lose all your balloons and fall faster than normal.